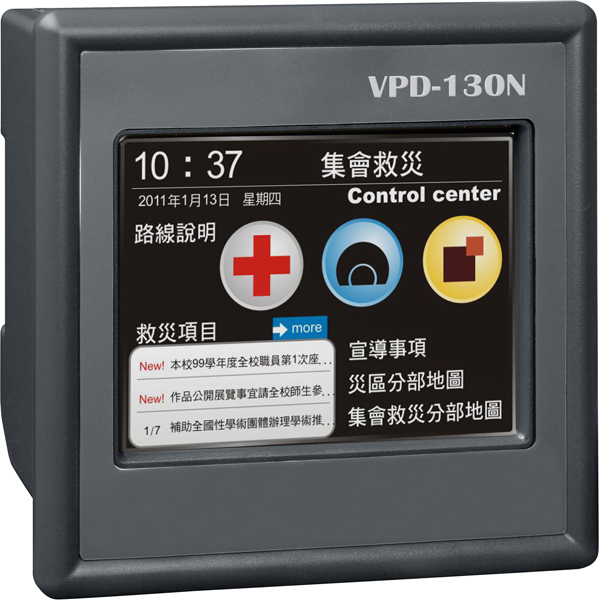 VPD-130N | 3.5” Touch Screen PLC / Touch Screen Controller HMI device with RS-232/RS-485 port, USB port, Real Time Clock, Rubber Keypad, and DIN Rail Mount. Free HMIWorks C Language and Ladder Logic Programming Development Environment Included. Supports operating temperatures between -20 ~ +50°C (-4F ~ 122F). Front Panel: IP65 Waterproof. 3.5” Touch Screen PLC / Touch Screen Controller HMI device with RS-232/RS-485 port, USB port, Real Time Clock, Rubber Keypad, and DIN Rail Mount. 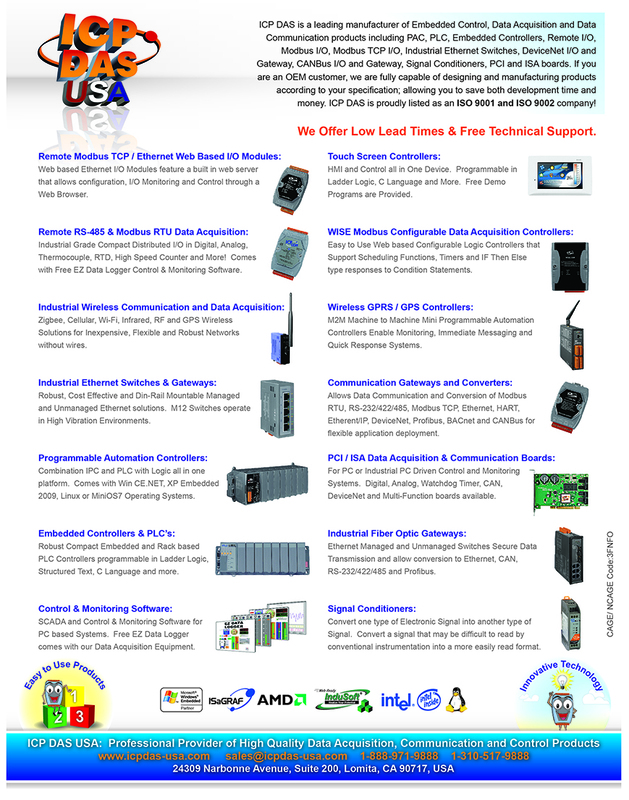 Free HMIWorks C Language and Ladder Logic Programming Development Environment Included. Supports operating temperatures between -20 ~ +50°C (-4F ~ 122F). Front Panel: IP65 Waterproof. 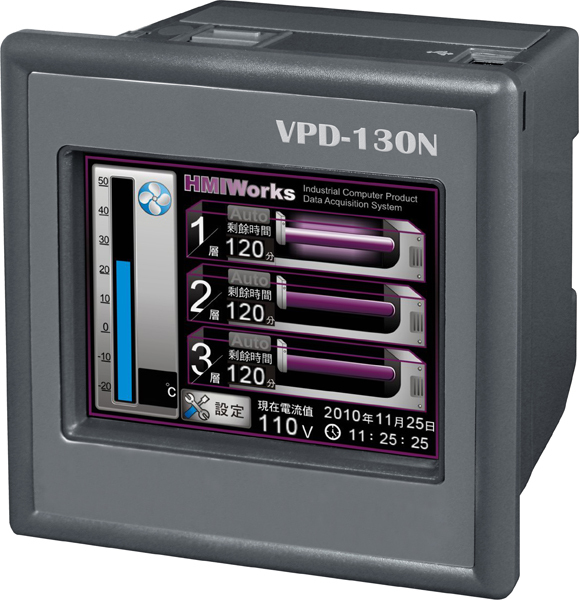 VPD industrial touch HMI device series features, 3.5" high resolution color touch screen LCD. With touchscreen capability, it is easy to deploy into all kinds of automation systems, and make them more intuitive and efficient. Either setup new system installations or complete system retrofits, VPD series stands out for its wide variety of communication methods. 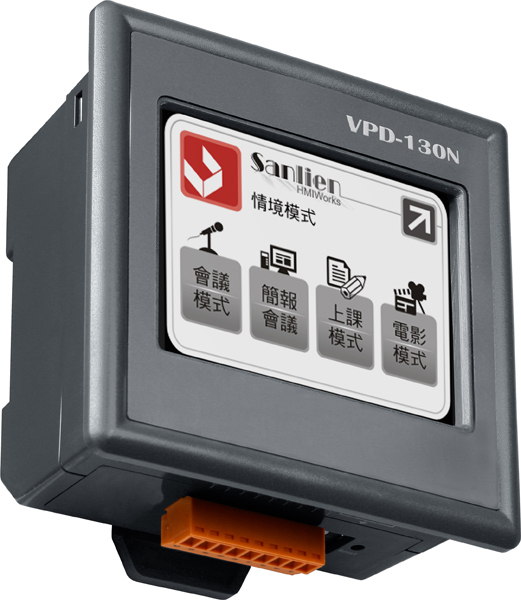 Its built-in communication ports include RS-232/RS-485, and USB interface, enable integration into the system allowing users to control, monitor I/O at the remote sides and update firmware directly from the central computer. 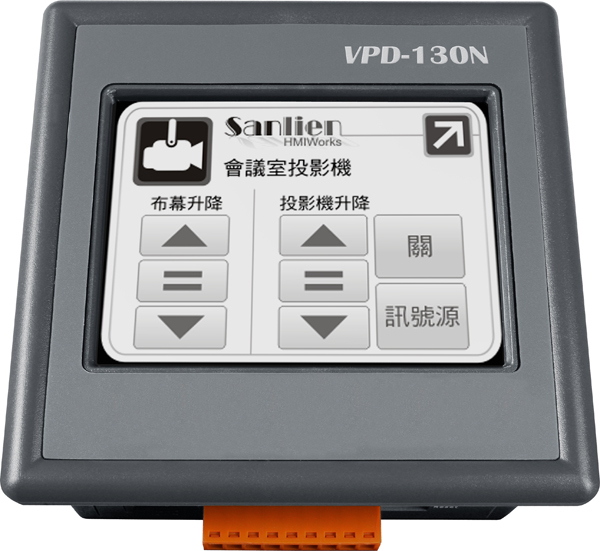 Besides, the built-in non-volatile storage makes VPD series more reliable for rugged environments. 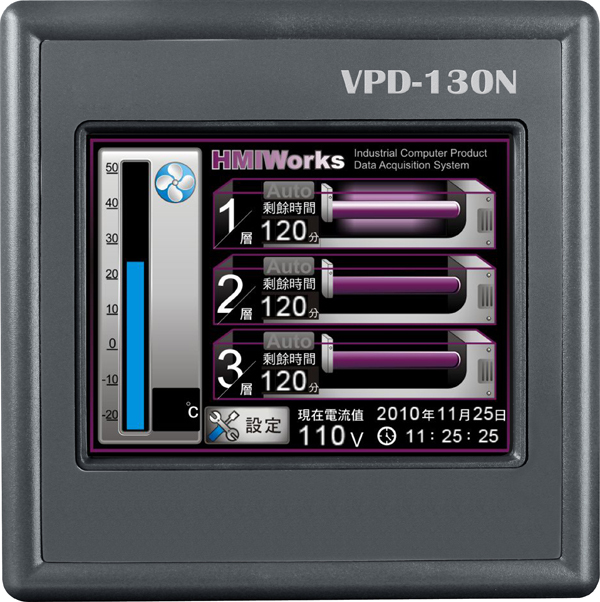 HMIWorks, the free development software for VPD series, provides an easy-to-use environment, and powerful and intuitive programming with vector graphic capabilities to let users create appealing graphical interface screens in minutes. For PLC users, HMIWorks provides Ladder Designer and C language environment for IT users. Especially, it only takes no more than 30 minutes to learn how to create an application program when using Ladder Designer. 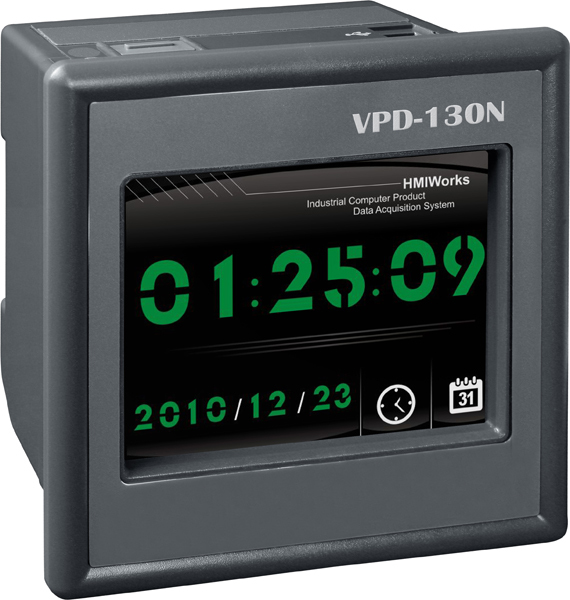 With all the features provided, VPD series touch HMI Devices must be the most cost effective HMI Device ever been in the market.